In New York State, the rules for possessing a rifle or shotgun are more relaxed than the rules for possessing a handgun. A permit or license is not required to buy own or carry a rifle or shotgun in New York. In New York, gun dealers (including those at gun shows) cannot sell a rifle or shotgun without a criminal background check on the buyer, a locking device and a label with information on storing the rifle safely. It's legal to bring a rifle or shotgun from another state into New York if the bearer is eligible to own a firearm in New York State. A rifle and shotgun are defined as reaching no less than 16 inches and 18 inches in length, respectively. 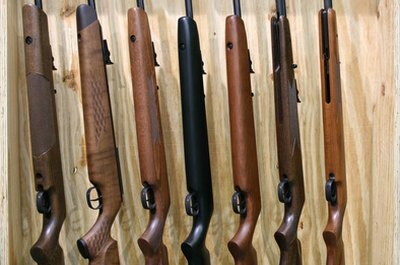 In New York, an individual may legally possess up to 19 rifles and shotguns without a license. No one under 16 can own a rifle or shotgun, except that children ages 12 to 16 can own a rifle or shotgun if they use it for target practice under the supervision of a military officer, parent or guardian. Licensed children ages 12 to 15 may carry and use a rifle or shotgun belonging to an adult, provided the adult has a hunting license. It's unlawful for a convicted felon to possess a firearm. Possession of a loaded rifle in a vehicle is also illegal. Residents of New York City must have a license to own and a permit to buy and carry a rifle or shotgun. All firearms in New York City must also be registered with the state (firearms elsewhere in New York State do not need to be registered). One permit covers both possession and purchase of a long gun in New York City. Applicants are fingerprinted, must provide four photos taken within 30 days of application, and must submit two affidavits from people declaring their character is fit to possess a rifle. A rifle owner can't give the gun to anyone except those who don't live in New York City, another person with a valid permit or a licensed dealer. A non-resident of New York City can purchase a rifle or shotgun if she can prove she lives outside of New York City. Rifles must be registered with the New York City Police Department's Firearms Control Section in one of three ways: the dealer registers the gun, the buyer registers the gun if it's purchased outside of New York City, or, in an exchange of firearms between two permit holders, the two parties register the gun. Houston, Whitney. "New York State Rifle Laws." , https://legalbeagle.com/6794938-new-york-state-rifle-laws.html. Accessed 19 April 2019. What Rifles Are Legal in New Jersey?